Despatch for all Australian and New Zealand orders is normally within 24 hours after payment in full has been received. Delivery in Australia is via Australia Post Express service, and is next day to capital cities, and 2 days to most other areas – check with Australia Post if you are in remote area. Please allow 3-4 business days for shipping to New Zealand. For other overseas orders please contact us. All items include free shipping to Australia. New Zealand orders will be charged at a $25.00 flat rate for express shipping. You are able to browse our website without disclosing any personal information. We receive and store certain types of information from your computer whenever you interact with us. For example, we use “cookies” and we obtain information when your web browser accesses www.shop.perfectbalancerowing.com. Information may also be gathered from emails that we send to you. Some of this information is used to improve your website visit, but utilities are available that allow you to visit our website anonymously, and to protect you from providing information when you open an email from PBR. You may access, correct or remove your personal information at any time by emailing us here. We care greatly about your satisfaction with, and trust in, PBR. We have established reasonable physical, electronic and managerial procedures to safeguard and secure your personal information. Credit card transactions are handled by established third party banking and processing agents and they receive the required information using established internet security protocols. However, no data transmission over the internet, or any wireless network, can be guaranteed to be 100 % secure. While we strive to protect your personal information, you acknowledge that there are security and privacy limitations beyond our control, and that security, integrity and privacy of our information and resources could be breached at any point, or in transit. Occasionally there may be information on PBR that contains typographical errors, inaccuracies, mistakes, or omissions that relate to product descriptions, pricing, and availability. We reserve the right to correct any errors, inaccuracies, mistakes or omissions and to change or update information at any time without prior notice. We apologize for any inconvenience this may cause you. PBR grants you a limited license to access and make personal use of this website and not to download (other than page caching) or modify it, or any portion of it, except with express written consent of PBR. This license does not include any resale or commercial use of this website or its contents; any collection and use of any product listings, descriptions, or prices; any derivative use of this website or its contents; any downloading of copying of account information for the benefit of another merchant; or any use of data mining, robots, or similar data gathering and extraction tools. This website, or any portion of this website, many not be reproduced, duplicated, copied, sold, resold, visited, or otherwise exploited for any commercial purpose without express written consent of PBR, or its affiliates. You may not frame or utilize framing techniques to enclose any trademark, logo, or other proprietary information (including images, text, page layout, or form) of PBR and our affiliates without express written consent. You many not use any meta tags or any other “hidden text” utilizing PBR’s name or trademarks without express written consent. Any unauthorized use terminates the permission or license granted by PBR. You are granted a limited, revocable, and nonexclusive right to create a hyperlink to the home page of PBR so long as the link does not portray PBR or our products or services in a false, misleading, derogatory, illegal or otherwise offensive manner. You may not use any PBR logo or other proprietary graphic or trademark as part of the link without express written consent. All trademarks, copyrights, logos, and symbols constitute the intellectual property of PBR, and are protected by Australian law and may not be copied or imitated in whole or in part. Any unauthorized use of our intellectual property is strictly prohibited. PBR provides this website on an “as is” and “as available” basis. PBR makes no representation or warranties, express or implied, of any kind, as to the operation of this web site, or the information, content, materials, or products included on this site. You expressly agree that your use of this website is at your sole risk. 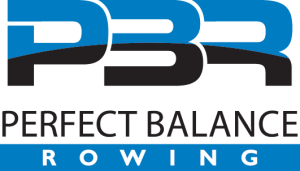 To the fullest extent permissible by law, PBR disclaims all warranties, express or implied, including, but not limited to, implied warranties of merchantability and fitness for a particular purpose. PBR does not claim that this website, its servers, or email sent from PBR are free of viruses or other harmful components. PBR will not be liable for any damages of any kind arising from your use of this website, including but not limited to direct, indirect, incidental, punitive and consequential damages. Regardless of delivery and other circumstances, all disputes in relation to PBR is covered by Australian law. PBR guarantees every product we make. You may return the product to PBR for repair, replacement, or refund in accordance with PBR’s Warranty Policy. PBR warrants all products to be free from defects in materials and workmanship for one year from the date of purchase. This warranty applies to the original owner and is non‐transferable. If damage is due to a material or manufacturing defect, PBR will repair or replace the product free of charge. PBR reserves the right to determine if a product will be covered under warranty. Normal wear, cosmetic blemishes, and damage due to improper use, modification, negligence or transport are not covered under warranty. Your original invoice is your proof of purchase. To pursue a customer warranty claim, contact PBR. We will need a copy of your original invoice. You can start the process by contacting us along with a copy of your invoice. You are responsible for the shipping cost to PBR; however, PBR will pay return shipping costs. If you are not satisfied with your PBR product within 30 days of original purchase, you can return it, IN ORIGINAL, NEW CONDITION, for a full refund by original payment method, except for the cost of return postage which will be paid by you. Damage due to improper use, modification, or negligence is not covered under the 30 days money back policy.